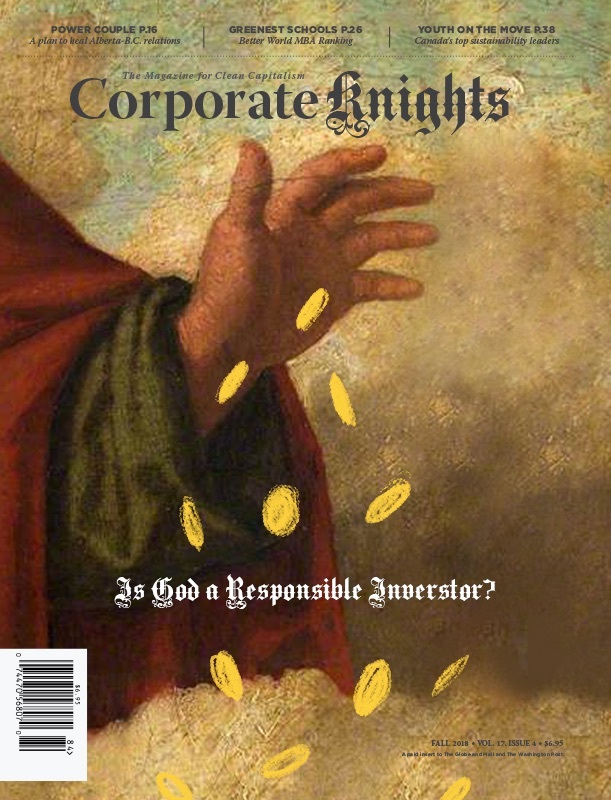 Investors – what’s in it for them? 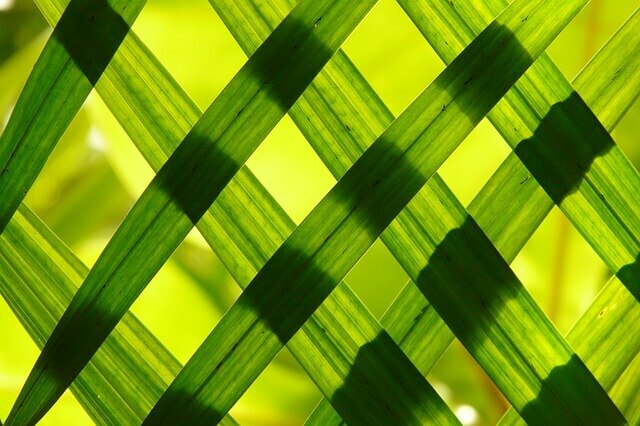 The number of investors who are integrating sustainability performance into their investment strategies and decision-making is on the rise. The number of signatories to the United Nations-supported Principles for Responsible Investment, an international network of investors working together to put the six Principles for Responsible Investment into practice, rose from 100 in April 2006 to 1,380 in April 2015, representing US$59 trillion in assets under management. 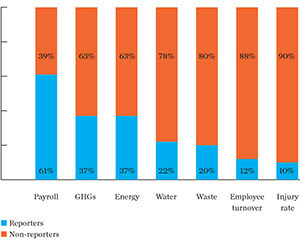 Further, firms with good performance on sustainability issues not classified as material do not underperform firms with poor performance on these same issues, suggesting investments in sustainability issues are at a minimum not value-destroying. Finally, firms with good performance on material issues and concurrently poor performance on immaterial issues perform the best. These results speak to the efficiency of firms’ sustainability investments, and also have implications for asset managers who have committed to the integration of sustainability factors in their capital allocation decisions. Making such informed, value-enhancing investment decisions greatly depends on the availability of sustainability data. However, a majority of the world’s large listings are still not reporting their performance, according to the 2015 Sustainable Stock Exchange report. In the case of greenhouse gas emissions (GHGs), for instance, it was reported by only 37 per cent or 1,847 of the world’s 4,969 large listings for the year 2013. In terms of market capitalization, the picture is not much better. As of April 1, 2015, the market capitalization of all large listed companies amounted to US$62.2 trillion; 39 per cent of this amount or close to US$24 trillion worth of publicly-listed equities did not report on their GHGs for the year 2013. This figure climbs to US$35.3 trillion or 57 per cent in the case of water. 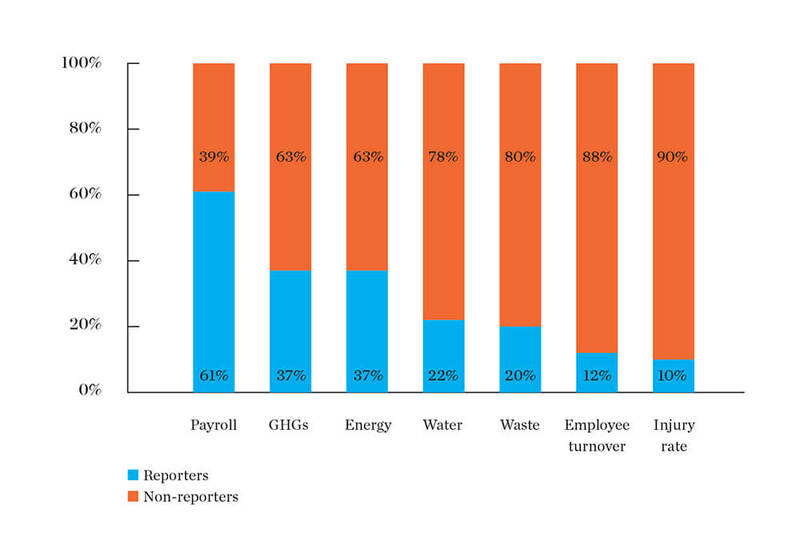 GHGs or carbon is arguably the most widely tracked and broadly relevant sustainability indicator. It is significant to the point of being the focus of the investor-backed Montreal Carbon Pledge (MCP) and the Portfolio Decarbonization Coalition (PDC), whose primary purposes are, respec­tively, to publicly disclose portfolio GHG emissions and reduce portfolio GHG emissions. The MCP is targeting investors with $3 trillion to publicly disclose their portfolio carbon emis­sions by the UN Climate Summit in Paris this December, while the PDC is aiming to decarbonize $100 billion of investments by the same date. As of June 22, the MCP was at $4.6 trillion, and the PDC was at $45 billion. Given the growing depth and pitch of investor interest in carbon metrics, this is clearly a case where policy-makers and companies are not keeping up with investor demand. Some low-carbon indexes, such as the Solactive CK Low Carbon versions, now exclude any company who does not disclose carbon emissions if it is in a GHG-intensive sector. 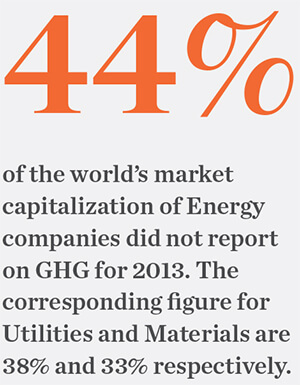 It is astonishing that so many companies in the three highest GHG-intensive sectors do not report: 44 per cent of the world’s market capitalization of energy companies did not report on GHGs for 2013. The corresponding figures for utilities and materials are 38 per cent and 33 per cent respectively. Reporting on sustainability factors has grown substantially, and this has helped propel an increasingly higher amount of investment capital toward sustainability investment strategies. However, a significant portion of the world’s equity markets still lack the necessary transparency. It might be time to start compelling companies to disclose their carbon emissions.